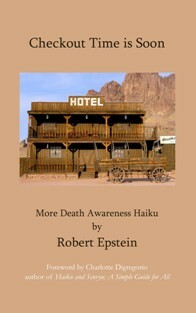 Robert Epstein, a psychotherapist living and working in the San Francisco Bay Area, has published several haiku anthologies and haiku books. 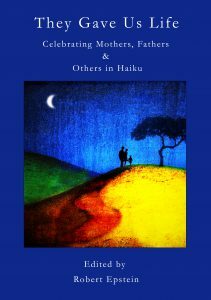 His most recent anthology is, They Gave Us Life: Celebrating Mothers, Fathers & Others in Haiku. 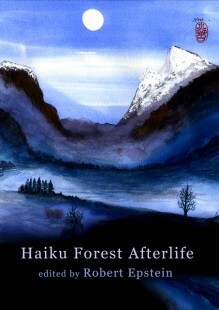 His latest books of haiku are, Free to Dance Forever: Mourning Haiku for My Mother, Haiku Days of Remembrance: In Honor of My Father, and Checkout Time is Soon: More Death Awareness Haiku. There are an infinite number of distractions in oneʼs daily life that take me out of the here-and-now. To live more fully, I need to be awake and alert. Oddly enough, death has the ability to rouse me from the trance state we live in so much of the time. Time itself is trance, but in time our days are numbered like every grain of sand, as Bob Dylan sings. To be wholly alive and awake is to move outside time. Death awareness haiku take one out of time; by its nature, the poetic perspective of haiku tilts one in the direction of the Eternal Now, and elevates things so we may apprehend a higher truth. Please join me in this most precious of places, where together we may find lasting peace, love and transcendence within the vast landscape of impermanence. 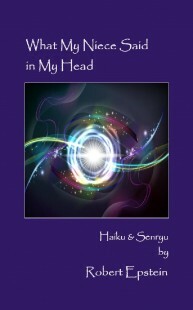 Haiku has the power to heal great loss, because it reveals to one’s heart the midnight truth about life-and-death, which our everyday consciousness relegates to the margins. 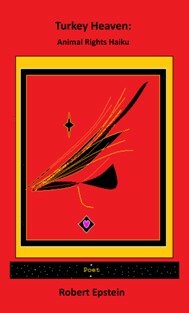 In the poems here that honor my father’s life, the gap appearing between life and death is diminished. My father lives on in these haiku, which were mainly (but not exclusively) written in remembrance on his death day: the second Sunday in June over the past sixteen years. My father is your father is every father. Walk with me in haiku remembrance of my Dad through which the unbreakable bonds of love point us all back in the direction of wholeness. Illness, aging, dying and death are inescapable facts of human existence. Resisting or denying the existential reality adds a level of suffering to the pain associated with change. In grappling with my dear mother’s slow decline due to dementia and cancer, I turned to haiku as a means of apprehending the midnight truth about birth-and-death. There are no definitive answers to be found that lie outside one’s own search for insight, understanding, wisdom and liberation. This is what I offer in these pages: glimpses beyond the pain and suffering, accessible through love, which enable us to bear the unbearable. Please join with me in mourning––and celebrating––the life and death of my beloved mother. In this act of sharing and bearing the universal loss of loved ones, I pray we may all feel a little less alone, a little more uplifted. All life is precious; thus proclaimed Albert Schweitzer, the 20th century humanitarian. Yet, humans around the globe continue to daily mistreat and murder countless numbers of animals, fish, fowl and insects with reckless abandon. This must come to an end. 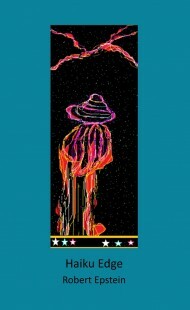 Collectively, the contributors in this anthology, from Croatia to Indonesia, speak out poetically and passionately on behalf of ending nonhuman suffering. Join them in bringing more compassion, kindness and appreciation to our fundamental relationship with nonhuman beings, who deserve to live free of fear, enslavement, torture, violence and slaughter. Perhaps a newfound reverence for all life will become your lasting message to the world, just as Mahatma Gandhi’s embodiment of nonviolence became his. ~ Hope Bohanec, Executive Director of Compassionate Living, Projects Manager of United Poultry Concerns, and author, The Ultimate Betrayal: Is There Happy Meat? 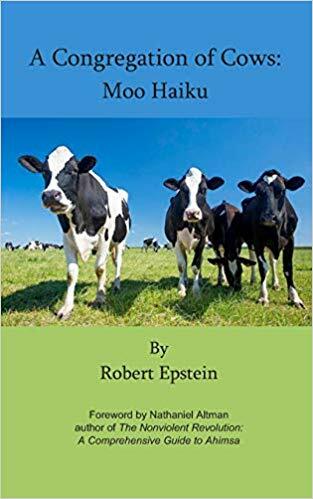 Robert Epstein, a licensed psychotherapist, haiku poet and anthologist, has been a vegan for ethical and spiritual reasons since 1975. He lives and works in the San Francisco Bay Area. 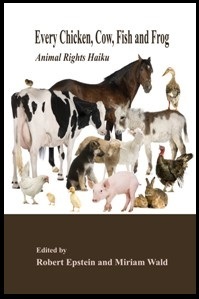 His latest book is, Turkey Heaven: Animal Rights Haiku. Miriam Wald, Ph.D., a clinical psychologist, is an animal rights activist who cares for rescued chickens, goats and other companion animals on her mini-sanctuary in Sonoma County, California. “Growing up, I relished hamburgers, chicken, steak, fish as well as dairy, and never gave any of it a momentʼs thought. Everyone I knew were avid meat-eaters. It seemed un-American to not eat meat. Then, one day, a young woman confronted me with an obvious question, as I was stir-frying ground beef for dinner: “What are you eating tonight, cow?” I was struck as if by lightning; the question cracked my consciousness wide open. Within a monthʼs time I vowed to become vegan: I gave up meat, fish, fowl, and all animal by-products, forever. Family members poked fun at me; my beloved grandmother predicted that the meatless diet I adopted was nothing more than a fad. I have lived that so-called fad for more than 40 years. Why? Because I love animals, and take seriously Dr. Albert Schweitzerʼs clarion call to embrace a reverence for life––all life. We are all related––no exceptions––human and nonhuman alike. Will you dare to take the bold step of embodying a reverence for life in your own daily living? 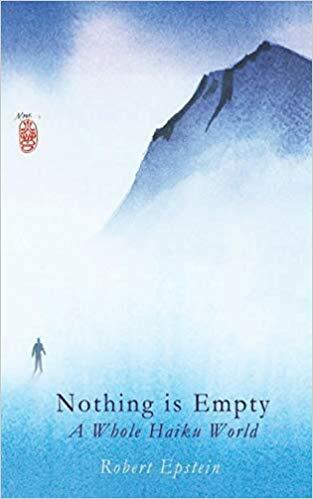 On your deathbed, you may breathe your last with a quiet dignity and peace for having extended love and compassion to all living beings.” This book is 137 pages of mental wheel-spinning persuasion combined with the interior and cover artwork of Ed Markowski. Cover art by Ron C. Moss. Most of us are taught from an early age to look on the bright side and to maintain a “positive” attitude toward life. For those who are cheerful and upbeat by nature, this Pollyannaish perspective is easy to come by. For others, perhaps with a darker temperament, the happy-clappy approach takes strenuous effort to sustain, especially given the daily exposure to violence, crime, natural disaster and economic calamity that permeates the media today. 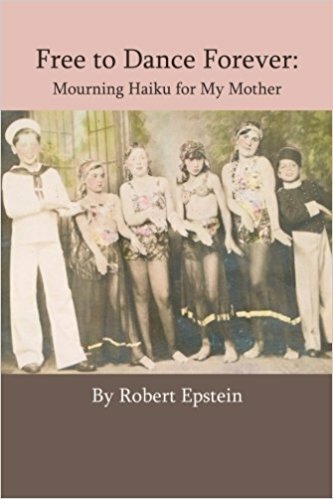 In this unblinking collection of haiku, Robert Epstein drops the scales from his eyes and stares straight into the dark side of life. From a certain angle, reality is harsh, tragic, cruel. . . even ruthless. 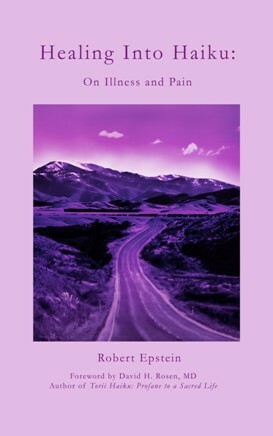 The tragic side of life needs to be faced and if there is any truth to be distilled, let it be revealed through the lens of poetry–the haiku edge. The result is often poignant, sometimes light-hearted, truth about the absurd world we are thrown into and manage to survive, despite. Remember that the truth, however difficult to bear, strengthens, even ennobles, the soul. You may be surprised to find yourself leaning into life with a little more courage, even compassion. Cover art and interior art provided by Ed Markowski. Most religious traditions have some fundamental belief about what happens to us after we die. Heaven and reincarnation are just two such notions with regards to the soul that offer comfort to those who fear death or have lost a loved one. In truth, we, the living, cannot say what happens to us after we die because, by definition, we are not dead yet; what happens after death remains the great mystery. At the same time, the human imagination is capable of venturing out into uncharted territory–the landscape of posthumous consciousness. 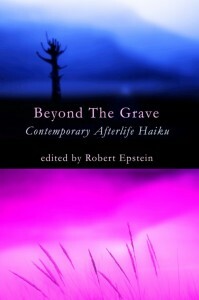 In this book, Robert Epstein explores this landscape through the poetic lens of haiku. Suspend your rational, scientific mind and join him in contemplating the afterlife where the invisible and unknowable take poetic form. If time stops, what then? Cover art provided by Ron C. Moss (www.ronmoss.com). 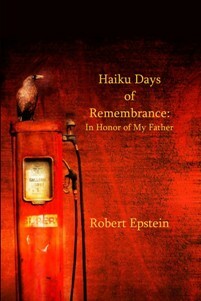 This book is a collection of fifty poems (haiku & senryu) from Robert Epstein to his niece for her tenth birthday. Beyond personal value, each page contains wisdom, humor, or both in a priceless marriage of pragmatism and wonder to serve as a guide as one treads through life. It serves also as a reminder that there is no harm in the inevitable; that there is beauty to be found in all aspects of life. Practical yet delightful for readers of all ages. Nobody understands life better than little girls and boys under the age of ten. For them, the world consists of one revelation after another. After ten, we forget what we know in order to get along and to fit in. The door to mystery and wonder is sealed and papered over with one too many norms, expectations, and disappointments. If we’re lucky, the miracle of love throws the door wide open again, if only for a fleeting moment. Don’t wait for romantic love–colored as it is by infatuation–which can be readily blown out by a single gust of wind to a flame. Preserve your wild mind that is the birthright of our human incarnation. That’s what my niece–in all her fresh enthusiasm–represents for me. She is an artist, naturalist, and magician all rolled into one, as are we all.